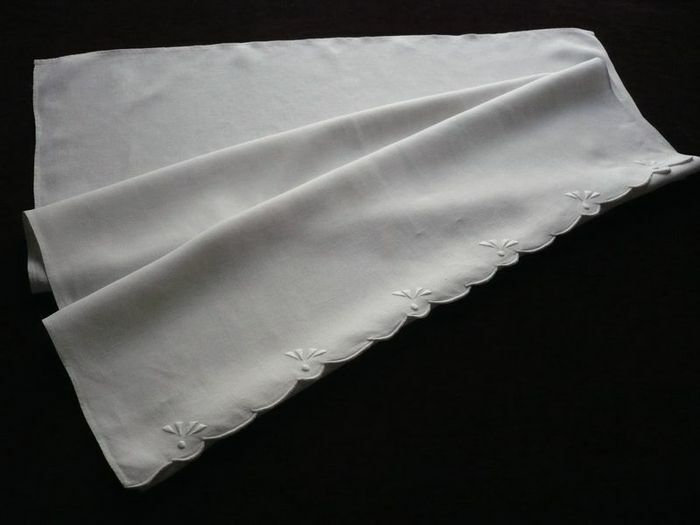 A lovely little infant sheet loomed of a deliciously soft and silken eggshell white "fil de lin" linen. This pretty sheet has a hand embroidered scalloped border with stylized flowers embroidered all along the edge. Ideal for spring and summer weather! Perfect condition. Dimensions: 47 x 31.5in.